TedMet Insulation Jacketing is DuPont™ Tedlar® laminated on the topside. Tedlar® is a polyvinyl fluoride (PVF) film and is factory applied to the metal using an innovative process developed by BS Stainless Limited. Most common base metals for TedMet are Series 300, Stainless Steel and Aluminium, other metals are available as per project specifi­cation. Corrugated, embossed and other profiles are also available in TedMet. *For more details on Tedmet® and to request samples, please contact our engineers. 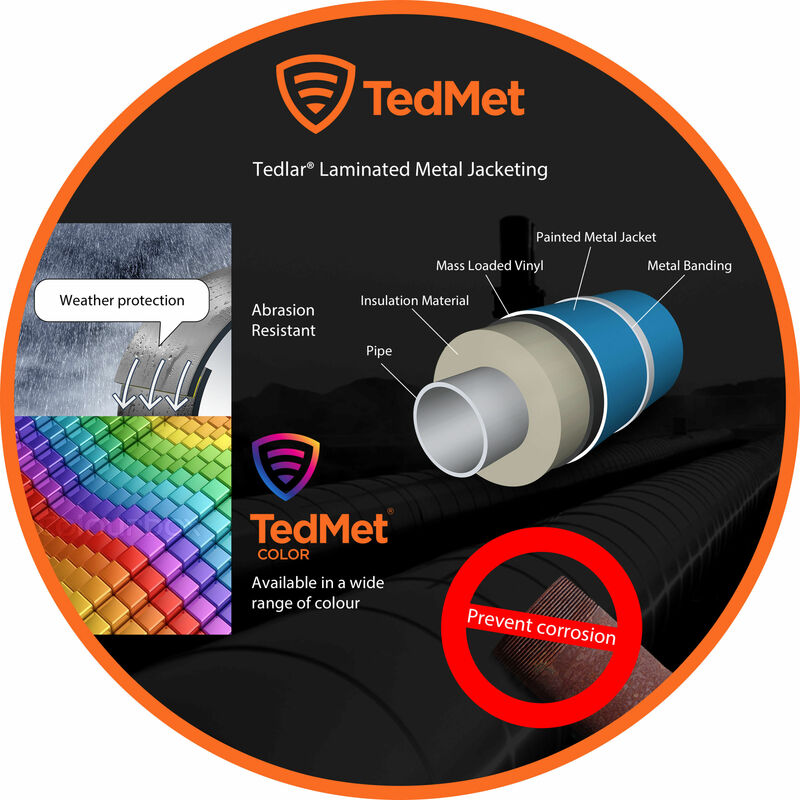 TedMet and SoundMet can also be produced as one jacket with to easily and efficiently solve acoustic issues, with SoundMet on the underside and TedMet on the outside to provide the system with the advantages of both products in a fraction of the typical install time. 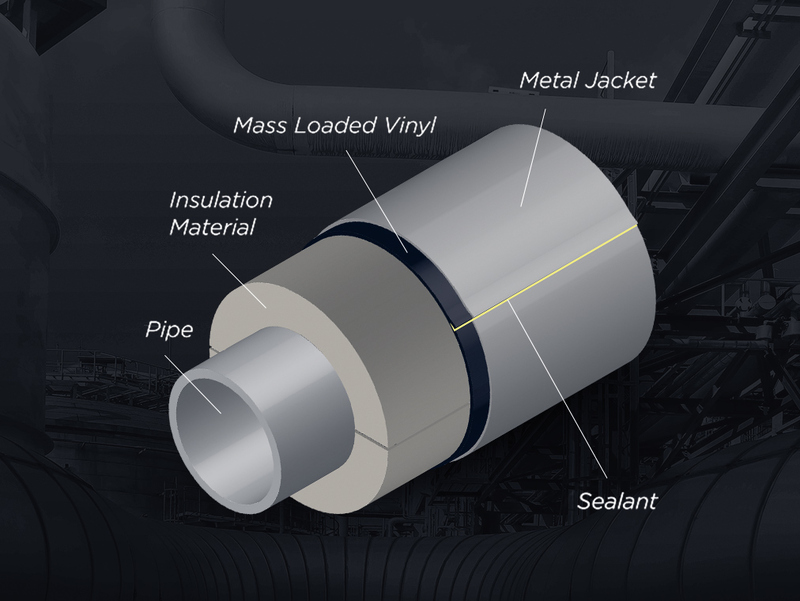 Material is securely fastened in place using Bandfix® Banding and wing seals and works along with the rest of our range of Bandfix ® ancillary products for metal jacketing.